Featured Products gets your products in front of even more potential buyers via dedicated, highly visible positions across the site and in our marketing. This Homepage Featured Product position enables you to boost the visibility of your product on the Homepage of Yumbles. All for just £29 plus VAT. Note: this marketing add-on is not available for November-December. During that peak period it is replaced by Christmas marketing packages. 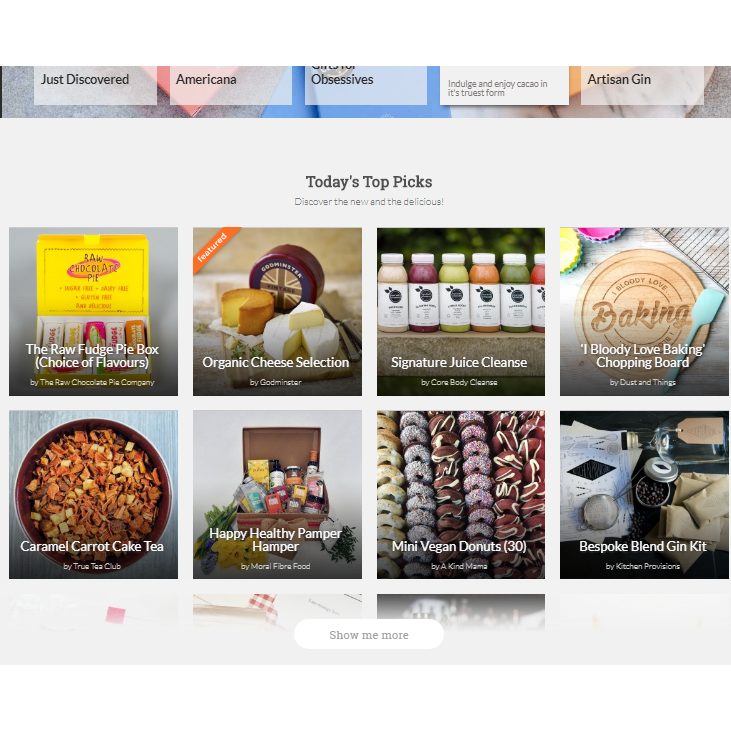 Your product listing will be featured for 7 days on rotation on the homepage www.yumbles.com in the section called "Today's Picks"
It will be highlighted as a Featured Product for extra visibility. Your listing will typically be featured within 1 working day of receiving your booking. You will receive confirmation when it is featured. the product listing doesn't comply with product listing guidelines not least regarding the quality of the main listing image. If your listing doesn't meet guidelines we will advise you first to discuss changes needed.